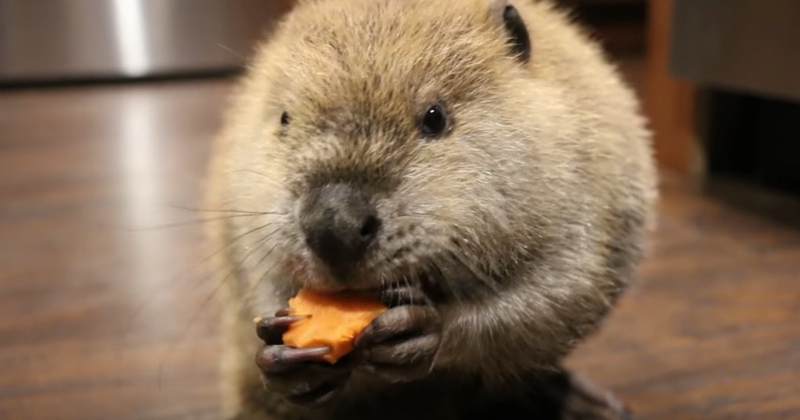 Your pet dog or cat may be cute, but he or she probably isn’t as cute as this adopted beaver! Brigette Brouillard, the founder and owner of Second Chances Wildlife Center, often takes in and rehabilitates all kinds of wild animals, from skunks to armadillos. But it’s her latest rescue—a beaver named Justin Beaver—that has people across the Internet losing their minds! JB was orphaned at just eight weeks old and since then, Brouillard has taken him into her care. Watch the full adorable video down below!